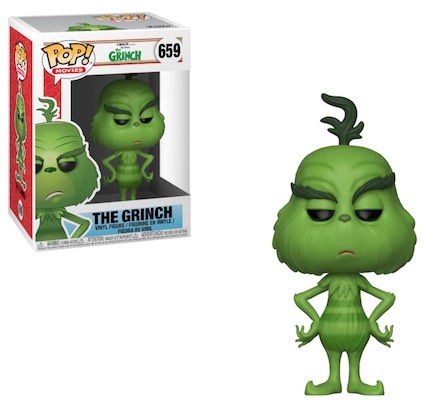 Product DetailsFunko Pop The Grinch is sure to make the size of your collection grow! 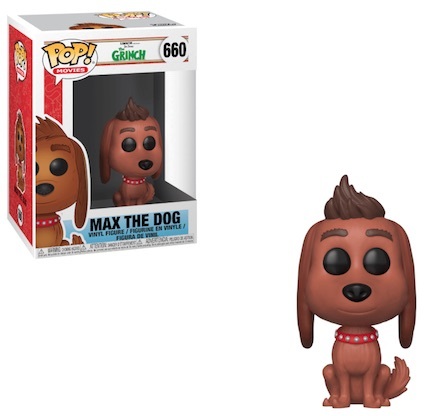 The vinyl set features the "mean one" along with his best friend and canine companion, Max. 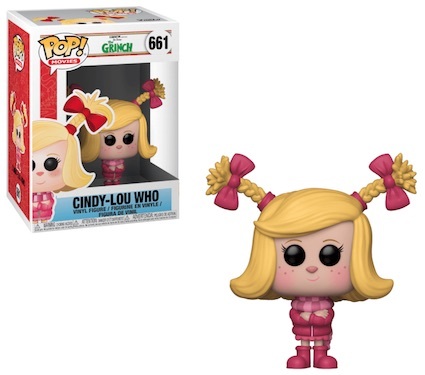 Numbered into Pop! 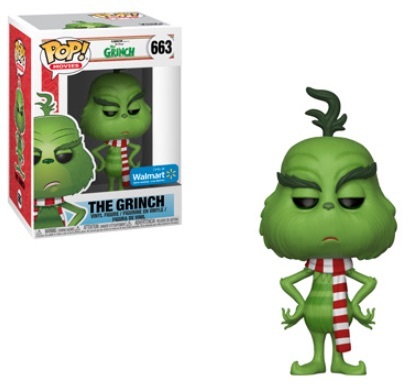 Books, Funko Pop The Grinch offers a base green Grinch figure wearing a Santa suit. 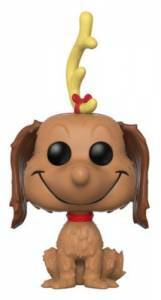 Other choices include a blue chase variant (1:6 boxes) and a flocked version issued through Books-a-Million (BAM!). 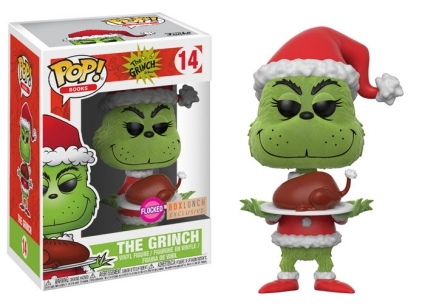 Additionally, The Grinch flocked and holding a plate of roast beef is a BoxLunch exclusive. 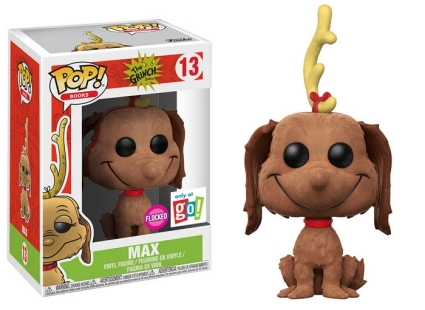 Of course, the famed Dr. Seuss character wouldn't be complete without his sidekick, Max. Like a good dog, Max is seated with a big smile despite having to wear a single reindeer antler atop his head. 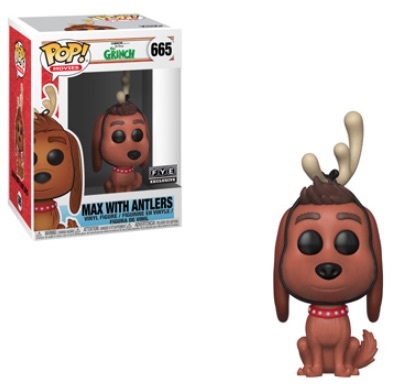 The flocked version of Max can be found at Calendar Club outlets. 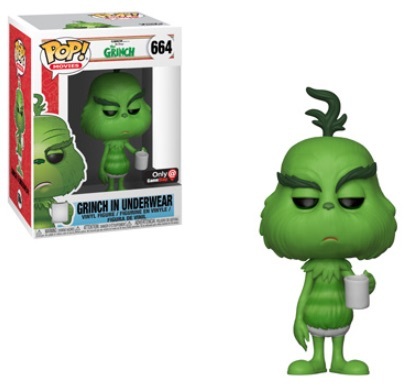 Buy Funko The Grinch Figures on Amazon. 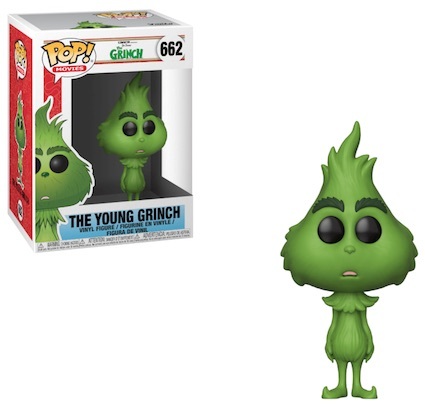 A separate release of Funko Pop The Grinch focuses on the 2018 movie version with Benedict Cumberbatch supplying the title character's voice. 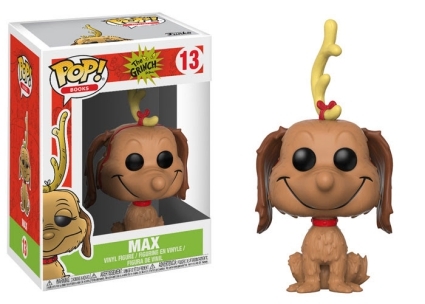 Options include new versions for The Grinch and Max, plus Cindy-Lou Who. 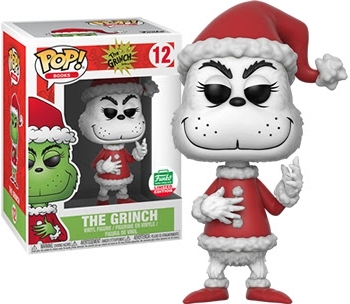 Fans and collectors of The Grinch and the other beloved characters of Seussville can also try their luck in finding their favorites with Funko Dr. Seuss Mystery Minis. 12 The Grinch Flocked - BAM! 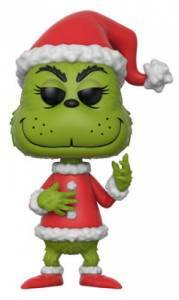 12 The Grinch Flocked - Books-a-Million! 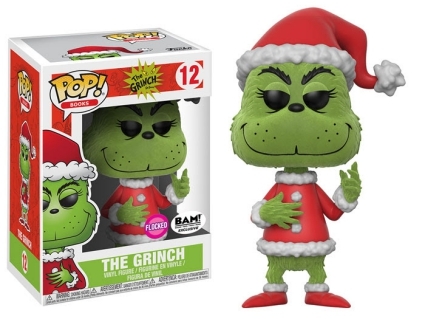 Funko Pop Movies Barnes & Noble The Grinch Grinch & Cindy Lou Who 2 Pack Set! 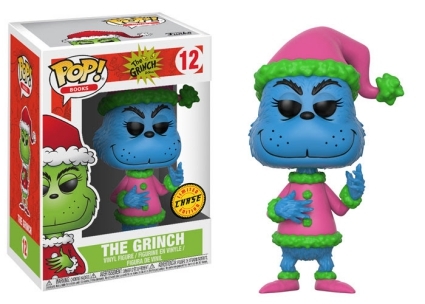 FUNKO POP VINYL: Dr. Seuss Grinch + Cat in the Hat Box Lunch Exclusives! FUNKO POP VINYL: The Grinch + Zero Box Lunch Exclusives!